France is divided into regions, sort of like we have states, only less autonomous, I believe. The Vendée is where my dear friend Danielle lives in a tiny hamlet called Le Moulin des Landes, which is near the village of La Chapelle Achard. Kosta and I visited in 2013 and stayed with Danielle and her family for a couple of weeks. It was a wonderful experience. Not only do we adore the entire family, but they live in a 180 year old stone farm-house. They keep sheep and chickens and are slowly restoring the place. 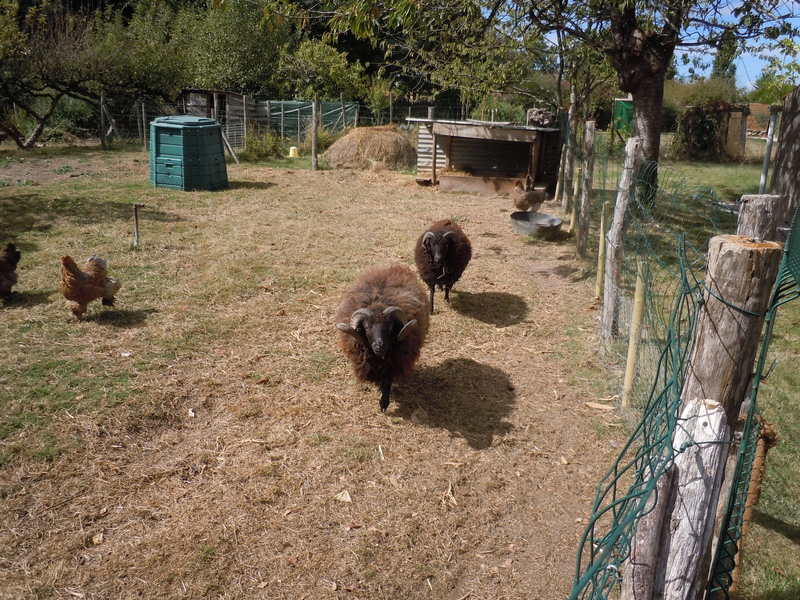 That is Pan the sheep with his brother Fangus following behind. 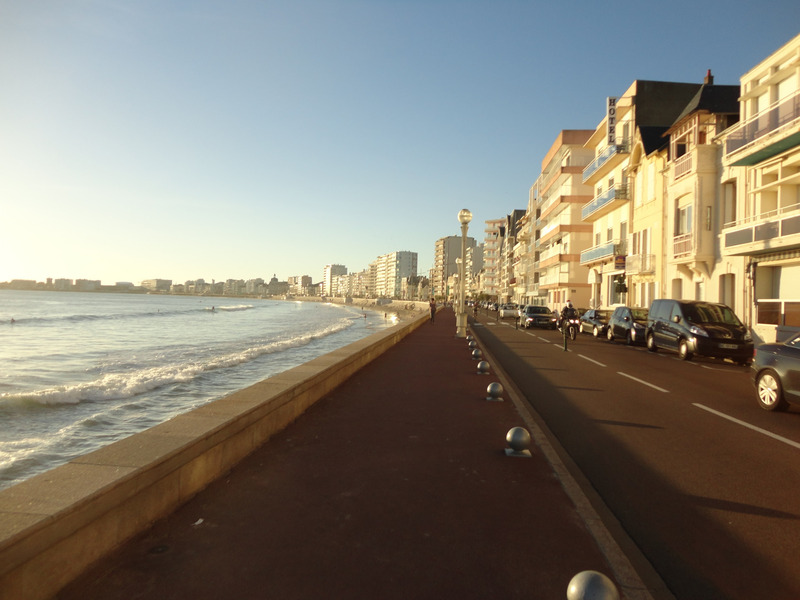 The Vendée is on the Atlantic coast and Danielle and her family live just a fifteen minute ride from Les Sables-d’Olonne, which is a beautiful seaside town with spectacular beaches. I am very excited because we are going back there this summer for a week to see the family and hang out before we go on to Bavaria and Austria. I am hoping we can plan a side trip up north to Mont St. Michel in Brittany. It’s a few hours drive, but I’ve been dying to see it.